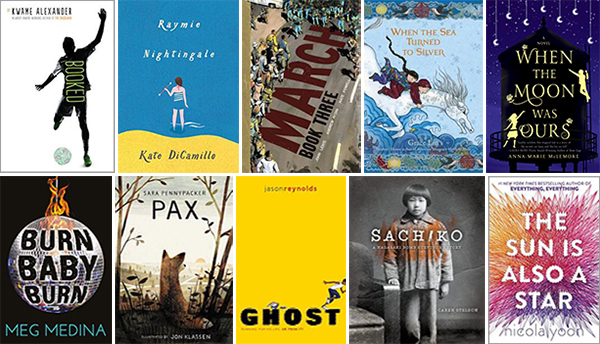 This year I served alongside Katherine Paterson, Laura Ruby, Ellen Oh, and Valerie Lewis as a judge for the National Book Award in Young People’s Literature. From many hundreds of books published in 2016 we picked a longlist of ten, each one incandescent. Then we narrowed that list down to five finalists, all of them astonishing. 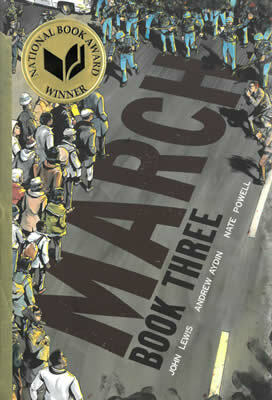 On Wednesday we chose the third volume of March, a graphic memoir by John Lewis, Andrew Aydin, and Nate Powell, as the winner. The congressman almost wept at the podium. When he was sixteen years old his local library insisted that book-borrowing privileges were for whites only. They refused to issue him a card. 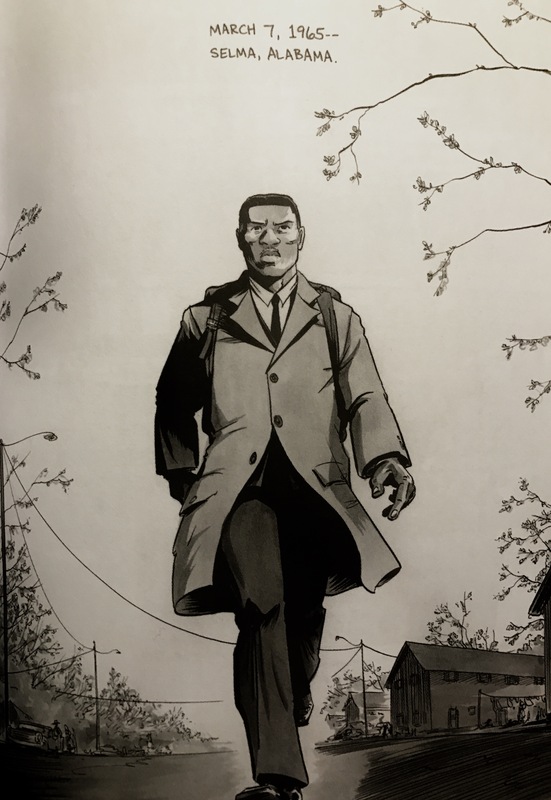 He is in all of our libraries now. 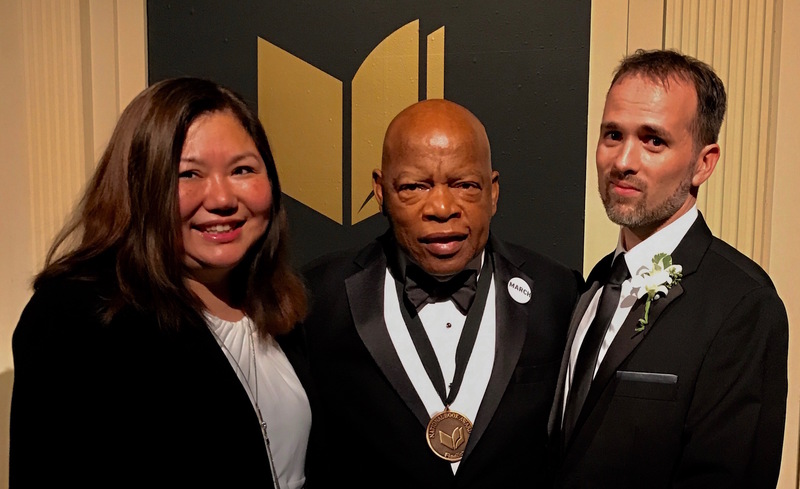 Ellen Oh, John Lewis, and myself. “Thank you for your service,” the congressman told us. That was Wednesday. On Thursday night my wife and I saw Hamilton. But despite knowing every song, and despite having already devoured the Hamiltome, I really didn’t know what to expect. This was a new cast (the mighty Oak excepted) and my own post-election despair made the subject matter seem completely funereal. I started my career by writing about the transformative power of theater. I really should have trusted that same power to do its work. 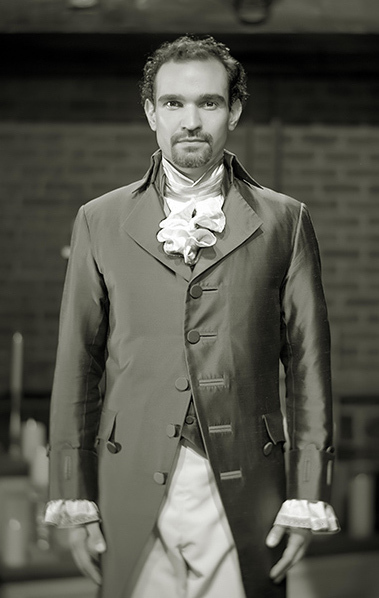 Javier Muñoz. Photo by Josh Lehrer. Hamilton poured fiery catharsis through my bloodstream and suddenly the world was worth saving again. 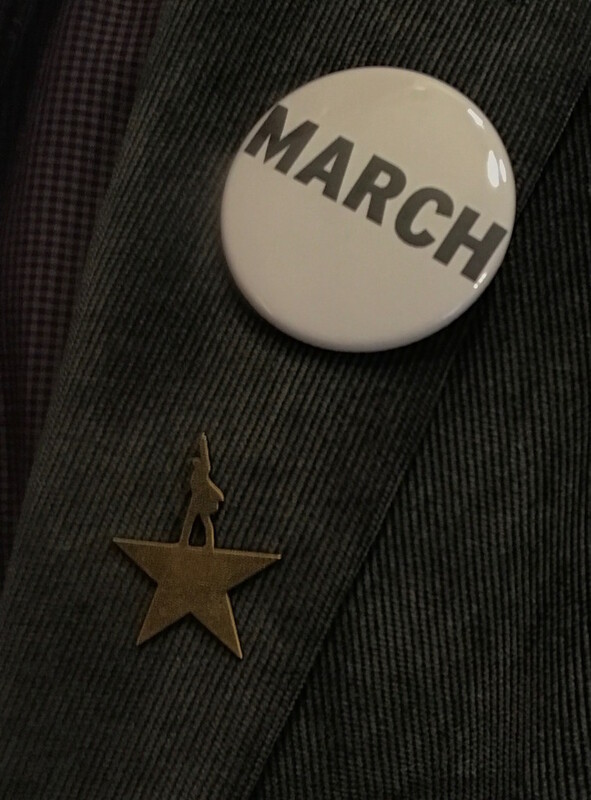 If you crave similar medicine and the Richard Rodgers Theatre is out of reach, then go read March immediately. Check it out from your local library to celebrate the fact that you can. History lives and breathes in this book, and history is happening. It’s time to teach my daughter the word that the Schuyler sisters are really singing. PS – We missed the VP-elect by one night. The cast of Hamilton had brave and important things to say to him.